Monrovia – Contradicting numbers and assertions between what President George Manneh Weah said in his Annual Message last Monday and what has been reported in the annual report of the Central Bank for the duration of the first year of the CDC-led government are raising more questions than answers about the true state of the Liberian economy. In his speech last Monday, the President suggested that the country was far better off than it was twelve months ago. “With the support from our two other branches of Government and our international partners during the course of our first year in office, I can confidently state that Liberia is far better today under our leadership, than it was twelve months ago when we were entrusted with the mandate to serve our people,” the President declared last Monday. In its annual report for 2018, the CBL’s preliminary statistics showed that government’s fiscal operations during the year recorded a fiscal deficit of US$225.5 million (70 percent of the GDP). “The deficit was a result of fall in total revenue and grants receipts during the year. Compared with 2017, the size of the deficit in net fiscal operations widened during the year. Compared with 2017 the size of the deficit in net fiscal operations widened from 6.1 percent of GDP. However, the overall balance of fiscal operations during the year mounted to a surplus of 5.4 percent of GDP, but lower than the surplus of 9.4 percent of GDP recorded in 2017. The surplus in overall fiscal balance vis-à-vis the deficit in the net fiscal operations reflects the level of payments of interest on loans during the year. According to the report, government revenue including grants declined by 12.7 percent in 2018. Total government revenue in 2018 amounted to US$402.2 million which is 12.5 percent of the GDP. “The fall in revenue (including grants) during the year was occasioned by shortfall in both tax revenue and non-tax revenue. Tax revenue fell by 14.9 percent due to declines in taxes on international trade, sales taxes on goods and services, and taxes on income and profits,” the report stated. International trade taxes also poorly performed. 2018 experienced a fall of US$154 million (20.7 percent) in collection of taxes and duties on imports. Taxes on income and profits also dropped by 5.2 percent (US$129.9 million) due to slowdown in tax receipt on households’ income and profits. Both international trade taxes and taxes on income and profits constituted 86.9 percent of total tax revenue, according to the CBL. Total domestic debt stock stood at US$265.2 million (8.2 percent of GDP), slightly reduced by 0.3 percent, from US$266.1 million (8.1 percent of GDP) in 2017. The moderate fall in domestic debt stock during 2018 was as a result of reduction in payments of Government’s obligation to financial institutions, mainly the Central bank of Liberia. When the stock of domestic debt is measured against the amount reported in 2016, total domestic debt declined by 1.2 percent. According to the report, all major commodity groups in the Consumer Price Index basket contributed to the upward trend in inflation rate during 2018 compared with 2017, except or clothing & footwear and recreation & culture while education remained flat Inflation rates on food and non-alcoholic beverages rose to 24.9 percent (from 4.6percent), alcoholic beverages, tobacco and narcotics to 24.2 percent (from 16.4 percent); housing, water, electricity, gas, and other fuel to 27.9 percent (from 8.5 percent); furnishings, household equipment and routine maintenance of the house to 36.2 percent (from 30.3 percent); health to 20.5 percent (from negative 6.6 percent); transport to 41.9 percent from 25.4 percent); communication to 28.9percent (from 14.3 percent); and restaurants and hotels to 33.0 percent (from 24.8 percent). Clothing and footwear declined to 22.4 percent (from 40.1 percent) and recreation and culture to 20.8 percent from 27.9 percent). Core inflation, which is measured by the Bank as the overall Consumer Price Index (CPI) less food and transport rose to a projected 26.2 percent, from 19.2 percent for the corresponding period a year ago. 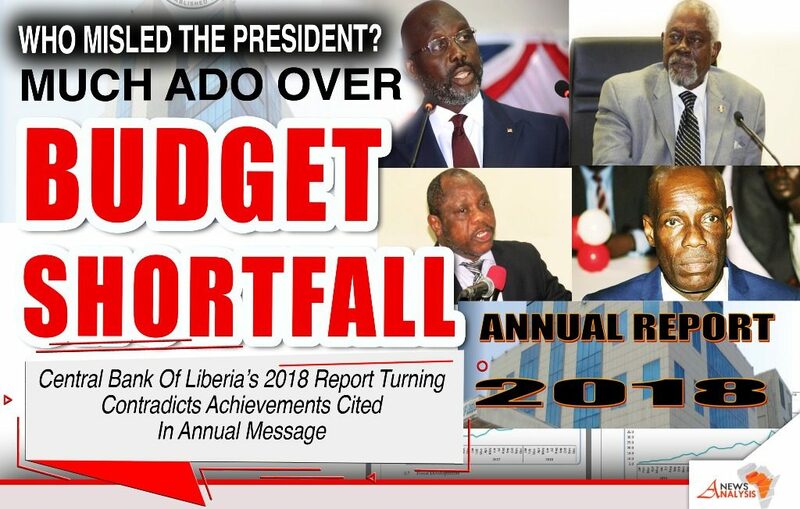 Economists say if the Price Development section of the CBL’s 2018 Annual Report is anything to seriously consider, it then implies that President Weah’s claim that Liberians are better off now than they were, a year after he assumed the presidency is far from the truth. Unlike other measured data from the Government of Liberia, the Central Bank of Liberia reported that average headline inflation, the measure of the total rate at which the general level of prices for goods and services is rising throughout an entire country for 2018 broadly increased to an estimated 23.4 percent, up from 12.4 percent in 2017. Unlike the President’s claim that things are improving in the country, the CBL was informing policymakers including the President that prices of goods and services actually went up by an average of 11%. That is, Liberians paid more than 10% on major goods and services over the period covering January 2018 to December 2018. The CBL Report continued that average food inflation for 2018 was 20.0 percent, up from 6.5 percent a year ago. The 13.5 percentage points increase in average food inflation was mainly attributed to the rise in the price of petroleum products on the global market that fed into transportation cost. 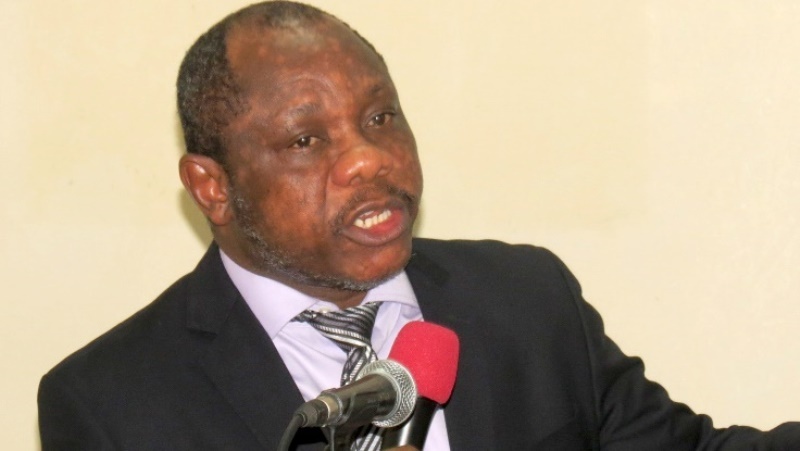 For Non-food inflation, the Report added that it trended upward from 17.3 percent in 2017 to 24.6 percent in 2018 on account of the depreciation in the Liberian dollar. On average, non-food category contributed more to headline inflation than food inflation in 2018 contributing 15.45 percentage points while food category provided 7.90 percentage points to the 23.4 percent rate of inflation. Many Liberians are expressing dismay over what informed the President’s pronouncement when things are really getting hard. They encouraged him to remain truthful as possible as the least they would expect of a serving President is an honest assessment of activities in the country. Mr. Gabriel Nyanti, a Accounting and Finance Professional, posted to Facebook that with the poor fiscal developments there the need for the Finance Minister to be replaced. He wrote: Samuel Tweah must be dismissed with immediate effect, Mr. President. Only a few months left to climax the fiscal year 2018/2019 and Tweah has already overspent the National Budget by 40% (US$225 million deficit). This is disastrous and artful fiscal indiscipline. More to that this guy has increased Liberia’s total debt stock by 13% over one year, and depleted our foreign reserves by 17%. I’m afraid over the next few months, Liberia’s total debt stock will hit one billion dollars. This is a blackhole. If you’re not careful Mr. President, your government may shut down due to financial constraints. Mr. President are you aware that the LRA has informed its staff about the delay in salary disbursement? This is scaring. Do you the risks associated when Revenue Analysts/collectors not being paid on time? Those guys will pay themselves. Oh! Yes, Mr. President, those guys will pay themselves through other means. Let’s be sincere here, Minister Tweah can’t handle that place, especially when you also appointed a deputy minister who was the treasurer of a church. No… I know you love your lieutenants Gbekugbeh, but the house is the engine of Liberia’s financial dealings. You need technocrats who have the necessary experience and credential. You need to act now Mr. President.